Dr. Corey Hodes grew up in the West Los Angeles area and went on to earn his Bachelor of Science degree in Biology and Psychology from the University of California, San Diego. He graduated with honors from the Southern California College of Optometry (S.C.C.O.) located in Fullerton, CA. He is licensed to use diagnostic and therapeutic pharmaceuticals for the treatment and management of eye conditions such as pink eye, corneal ulcers, infections, eye allergies, and the removal of foreign bodies. ​Dr. Hodes has a special interest in pediatrics, contact lenses, and ocular disease eye-care. ​Dr. Hodes is a member of the American Optometric Association and the Califonia Optometric Association. He is very active in the Los Angeles County Optometric Society and served as President in 2005-2006. Dr. Hodes has received several accolades for his excellence in patient care and community service. In 2007 he was recognized as Young Optometrist of the Year by the California Optometric Association. 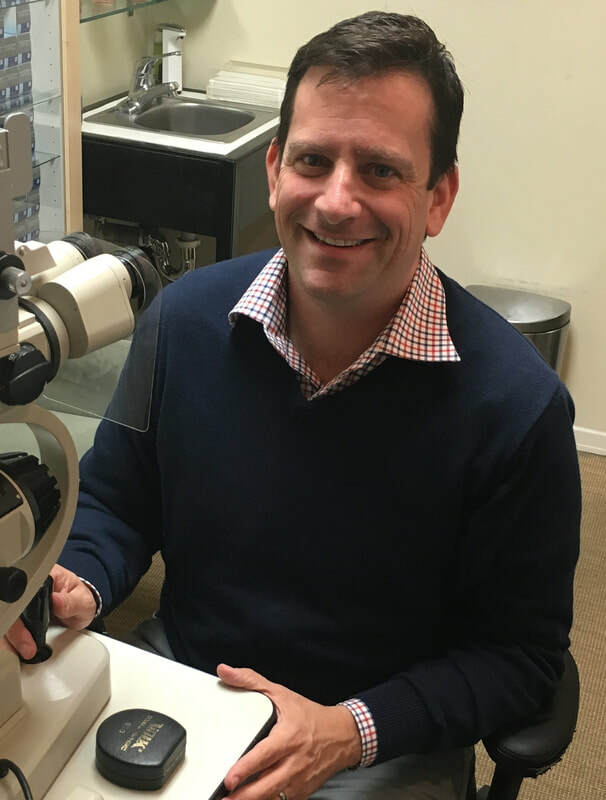 He has also received the California Optometric Council Achievement Award, the Vision West Independent Optometric Profession Award, and a lifetime membership for the Beta Sigma Kappa Optometric Honor Society. He was voted "Best Optometrist in LA" by LA Parent Magazine in December 2013. Dr. Hodes is proficient in Spanish, and in his free time enjoys spending time with his family, basketball, travel, tennis and triathlons. ​Dr. Arti Bhatt was born and raised in Orange County. She completed her undergraduate education at University of California, Riverside with a degree in Biological Sciences. She then went to earn her Doctorate of Optometry from Inter American University School of Optometry in Puerto Rico. She got married in 2015 and moved to Los Angeles to further her career in Optometry. Dr. Bhatt performed her externships at Lasik and Microsurgery center in New York and Veterans hospital low vision department in Puerto Rico. She is licensed and proud to provide the highest level of care to patients, by being trained in primary care, contact lenses, ocular disease, dry eye, Lasik and cataract management, and in the use of therapeutic pharmaceuticals. She is also proficient in Spanish, Gujarati, and Hindi. In her spare time, she enjoys hiking, traveling, learning new cooking recipes, and spending time with her husband, family and friends. Dr. Hodes donates his time to give free eye-care and glasses to those in need. He has provided vision screenings in Costa Rica, Dominican Republic and Parag﻿uay. One of the programs Dr. Hodes works with locally is ChildSight Los Angeles. ChildSight is an innovative school-based vision screening and eyeglass distribution program designed to improve the vision and the academic potential of students living in poverty. ChildSight strives to "brings education into focus" by offering vision screenings and providing free prescription eyeglasses for students who need them. ChildSight provides this essential service directly to students within the school setting and eliminates two barriers that often prevent children from receiving the vision care services they need: prohibitive cost and limited access. ChildSight's trained teams go directly into public schools in our poorest communities. Upon request by a school district, a team travels to the selected sites to provide vision screening, bringing the necessary equipment and the inventory of frames and lenses. The team tests the students, and those who fail the vision screening are examined by the on-site ChildSight optometrist, who assesses their vision to determine their prescription. Students choose their frames and receive their glasses at their school that same day or within a week, at no expense to them. Watch Dr. Hodes in the TOMS Video - "Helping Give Sight in the U.S."